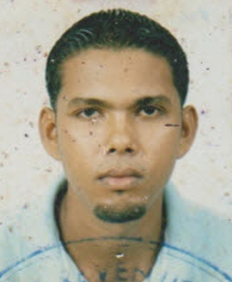 Satish Neil Ramcharitar is wanted by the police for questioning in relation to the murder of Jagdeo Thakurdeen on June 30, 2013, at Good Hope Railway Embankment, ECD. Thakurdeen died during a chase of someone suspected of having stolen car mirrors. Police say that anyone with information that may lead to the arrest of Ramcharitar is asked to contact the police on telephone numbers 225-6411, 226-6978, 225-8196, 229-2702, 229-2557, 911 or the nearest police station. Ramcharitar was born on October 07, 1986 and his last known address is Mon Repos, ECD.